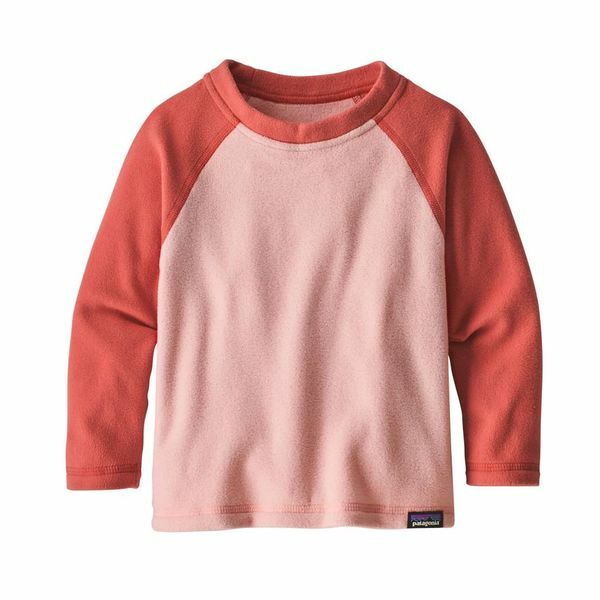 This Patagonia Micro D Fleece crew will keep your baby girl cozy this winter. 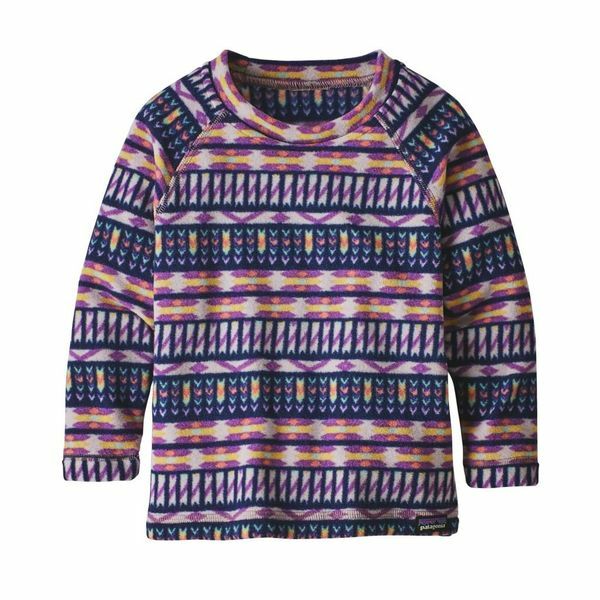 It is warm and quick-drying and can be worn alone or as a mid-layer.It is lightweight, breathable and will hold up to constant wear. The Baby Micro D® Crew provides lightweight and breathable warmth, with mobility-minded construction that holds up to constant wear and regular washing. It’s made of exceptionally soft, warm and quick-drying microdenier 100% recycled polyester fleece and has no-chafe raglan sleeves, a self-fabric collar for under-chin comfort and smooth, flat-seam construction.